Ghayal Once Again is the continuation of Sunny Deol’s super hit movie Ghayal. The movie starts with Ajay Mehra teaming up with Rhea (Soha Ali Khan) and Joe (Om Puri) who are capable with their professions. Ajay plans a secret agency to reveal many unusual facts to the society. It is this time when a group of youngsters happen to capture the murder of Joe which has been left as a mystery. After chased by a businessman whose son is responsible for Joe’s death, the youngsters meet Ajay and reveal the truth. The rest of the film is what happens next. Watch GhayalOnceAgain to know about the complete story. The first half of GOA starts off with a bang but the tempo goes down when the time passes. The real plot will be left unrevealed and the unwanted episodes take the major role. It is when the audience get irritated, the major plot gets unfolded and the movie catches pace. The unusual action episodes surprise the audience and on the whole the complete first half of Ghayal Once Again has nothing much to offer. The second half of Ghayal Once Again too takes over the same momentum and pace. Sunny Deol fails completely in narrating the plot though he has been decent with his acting abilities. The songs have been decent and the cinematography has been top notch. The audience will be left with nothing much when a predictable climax takes place. On the whole the second half of Ghayal Once Again has nothing new to reveal. 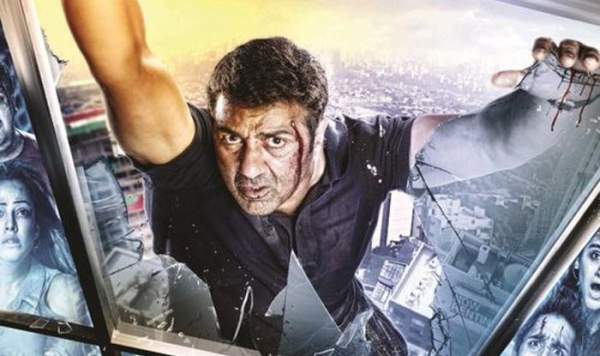 Sunny Deol has taken huge gap and is back with Ghayal Once Again. He has performed to the peaks and his energetic performance has been top notch. Though he could not dominate in some of the episodes though he looked in a fierce look throughout the movie. Soha Ali Khan has done a stupendous job in the film in a supporting role. Om Puri has been decent and all the other actors brought out their best in the movie. The story of Ghayal Once Again is completely different and unique. Though it has never been discussed till date, the screenplay and the dialogues of the film make the film fall flat. The cinematography has been top notch and the complete movie has been projected in a decent note. The music and the background score have been decent. The production values have been lavish. Sunny Deol fails completely as a director in all the departments. Ghayal Once Again is a film that can be completely ignored for the poor narration and execution throughout. A failure. Stay tuned for latest Bollywood news and updates. If you have watched the film, do share your reviews with us. See what others have shared below. Don’t forget to share it on social sites.